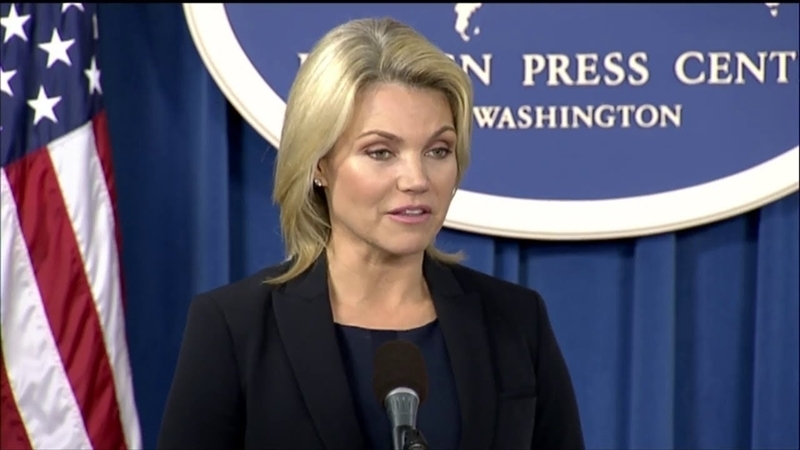 The United States accused the Russian Federation of rocket and artillery shelling in the Donbas and urged the Kremlin to take steps to resolve the humanitarian crisis, Heather Nauert, Spokesperson for the United States Department of State informed. “The situation in Ukraine, unfortunately, is not getting any better and so we’re talking about it once again. The United States continues to be deeply concerned by the escalating violence and the worsening humanitarian situation in eastern Ukraine." Nauert emphasized. "We again call on Russia to stop artillery and rocket attacks against Ukrainian civilian areas and to honor the ceasefire called for in the Minsk agreements,” she stated. According to Heather Nauert the humanitarian situation in the east of Ukraine is now worse than in the last three years. “We call on Russia to take immediate steps to resolve the humanitarian crisis by withdrawing its forces and agreeing to a robust UN peacekeeping mission. We also call on the Ukrainians to do more to alleviate the suffering and protect civilian populations and critical infrastructure," the State Department spokeswoman said. Earlier, QHA reported that Ukrainian military and SBU officers found a shotgun grenade launcher of the Russian Federation in the Donbas.